Even the healthiest individual can be sidelined by injured and unhealthy joints. Though young athletes are at a higher risk of suffering joint injuries, people of all ages can suffer from joint damage. While not every injury is completely avoidable, regular joint exercises can keep the joint strong and healthy in order to resist injury and the effects of time. The following five joint preservation exercises have been shown to benefit joint health. However, know your limitations and check with a skilled orthopedic surgeon to learn about what exercises are right for you if you are currently dealing with joint damage. Like muscles, joints can only stay healthy through regular exercise. By performing these exercises regularly, you can safely and efficiently increase joint strength and health on a weekly basis. One Leg Balance – A simple exercise routine, this involves standing on one leg without locking your knee and holding for 30 seconds, then switching and repeating. Doing so strengthens the muscles that keep the knee stable, which play a vital role in both walking and bending your knees. Supermans – Named after the superhero for its appearance, this routine involves lying face down and then raising outstretched arms and legs off the ground. This exercise strengthens the sacroiliac joint, which will often cause lower back pain when weakened or damaged over time. Double Leg Bridge – During this exercise, you will lie on your back with knees bent about a hip width apart and your arms at your side. By lifting your hips off the ground and holding through multiple sets of lifts, you will strengthen abdomen, legs, and hips, strengthening numerous joints at once. Yoga – Regular yoga classes strengthen the body as a whole and participants will quickly know which areas of their body are in need of improvement. 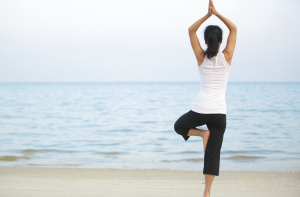 In addition, yoga provides an intense workout regimen that does not expose the body to potentially damaging stress. Low-Impact Aerobics – Biking and swimming provide the aerobic benefits of running, but without the potentially damaging impact of that activity. Through consistently working out your legs, you can strengthen your knees over time while also improving your overall health. With the helped of a skilled orthopedic surgeon, you can better understand the damage affecting your joints and create an effective plan for staying as healthy as possible. Should your joints be injured beyond the point of healing on their own, orthopedic surgery can put you on the path towards complete recovery. Not every case of joint damage can be prevented through exercise and a focus on overall health. If you have been affected by joint damage, know that there is still hope for recovery and a healthy life. Dr. Steven W. Meier and the orthopedic team at Meier Orthopedic Sports Medicine have helped countless patients put an end to their painful conditions. To learn more about how Dr. Meier can help you through skilled orthopedic treatment tailored to your unique needs, contact us online or call (310) 777-7845 today.